Sushrita1 practising sometime between 600 and 800 years BC reported distal limb amputation below the wrist and ankle without excessive blood loss. Proximal tourniquets to facilitate a bloodless field were frowned upon because of the perceived risk of gangrene distal to the tourniquet. 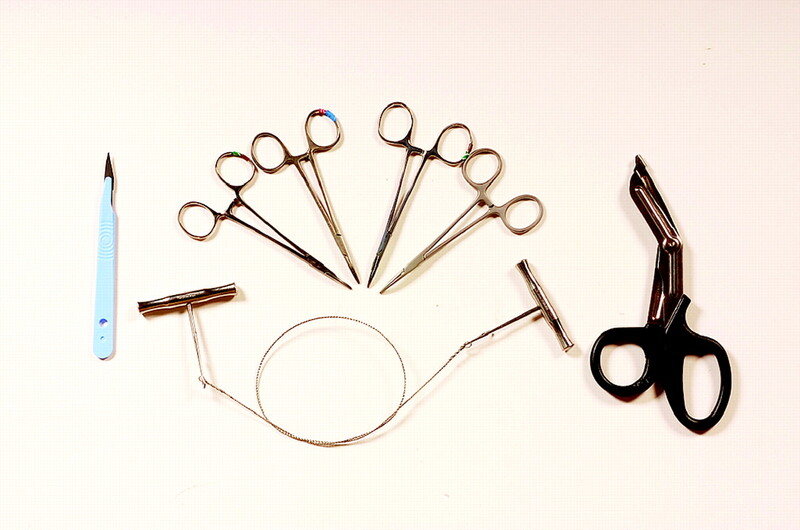 Surgical practice included the use of ligatures for haemorrhage. Hippocrates2 in the 4th century BC restricted amputation to the excision of already dead tissue because of the problems associated with haemorrhage and pain control. By the mid-14th century major vessel ligation associated with limb amputation was common practice for open fractures.5 Some regarded it as a precursor to rehabilitation. Developments during the 16–18th century included the re-introduction of tourniquets.7 John Hunter8 introduced the concepts of septic contamination, inflammation and weapon muzzle velocity associated with tissue destruction. Larrey, Napoplean Bonaparte's surgeon, introduced the concept ballistic cavitation and the ‘flying ambulance’ for the provision of a forward surgical capability for early amputation, and for those soldiers with lesser injuries the provision of first aid to enable the soldier to return to the battlefield. Subsequent amputation rates during the Crimean war, American civil war,9 world war I and world war II have been the outcome of the enhanced destructive power of weapons versus enhanced surgical skills, antiseptic technique and blood transfusion. There are no published series of civilian prehospital amputations in the UK. In 18 years of prehospital practice I have performed three amputations. In two patients this involved dividing residual skin and muscle bridges. 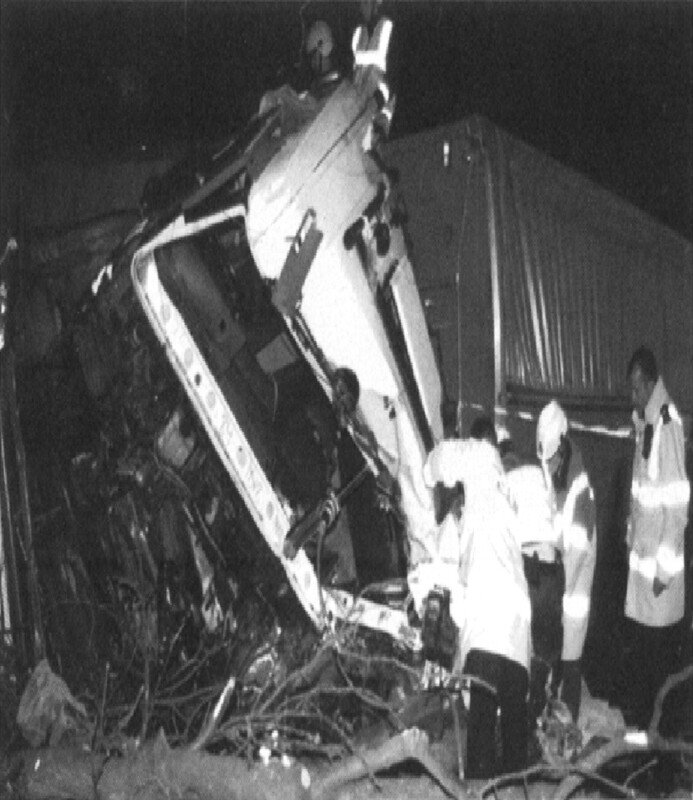 The third patient was a critically injured lorry driver trapped by a leg in a vehicle on its side with his leg trapped between the cab and a tree (figure 1). Extrication involving heavy lifting gear and tree felling would have taken too long, making amputation the only life-saving option. Fortunately the limb would have been non-salvageable because of catastrophic injuries (figure 2). 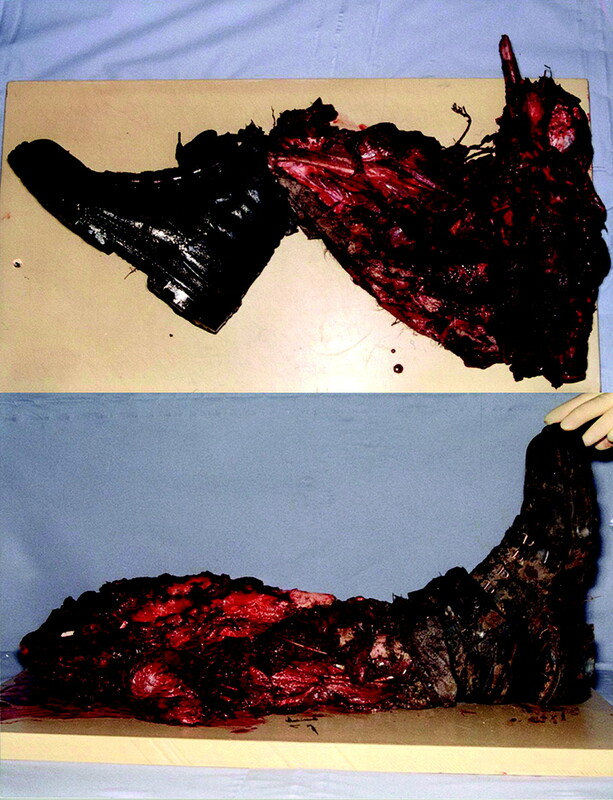 The limb post-amputation and retrieval. 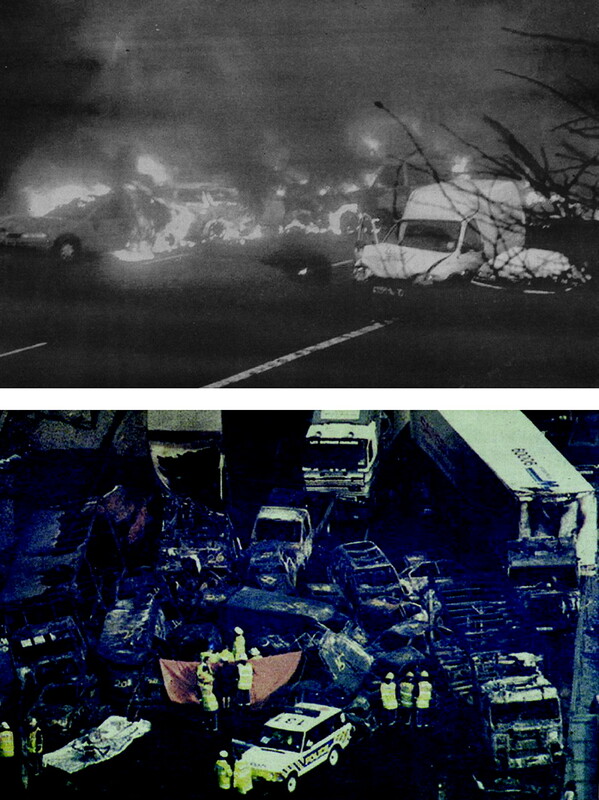 An immediate and real risk to the patient's life due to a scene safety emergency (figure 3). 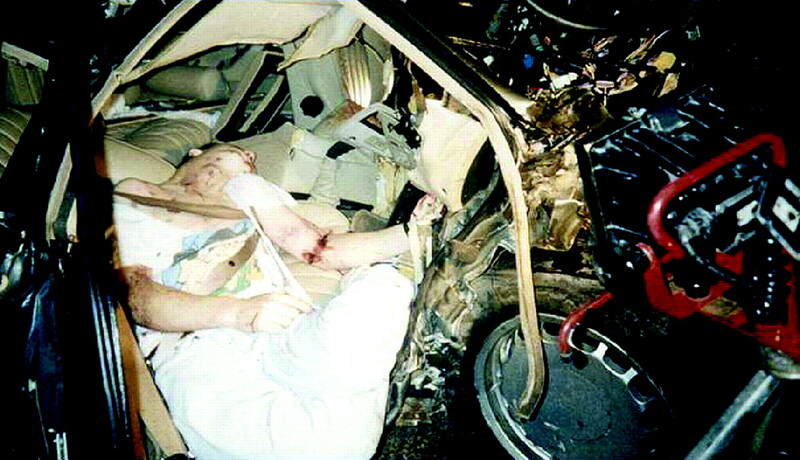 A deteriorating patient physically trapped by a limb when they will almost certainly die during the time taken to secure extrication (figure 4). 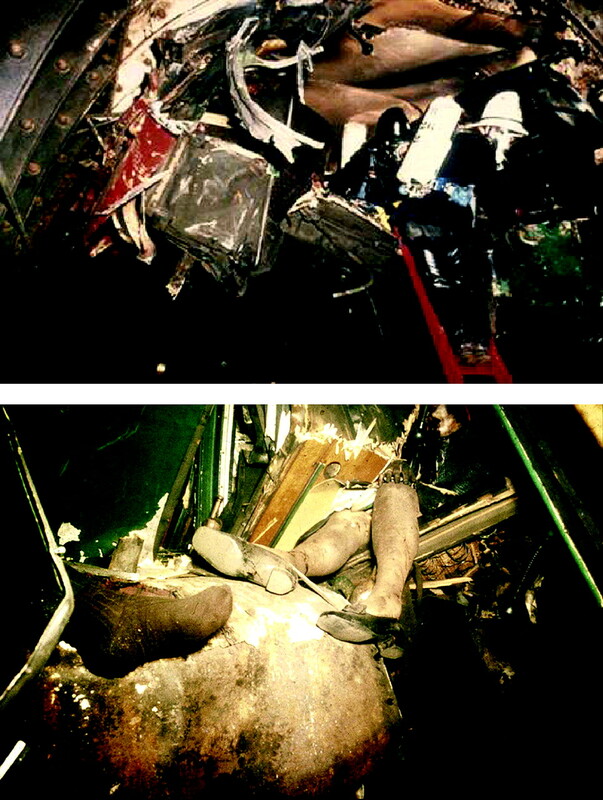 A completely mutilated non-survivable limb retaining minimal attachment, which is delaying extrication and evacuation from the scene in a non-immediate life-threatening situation (figure 5). 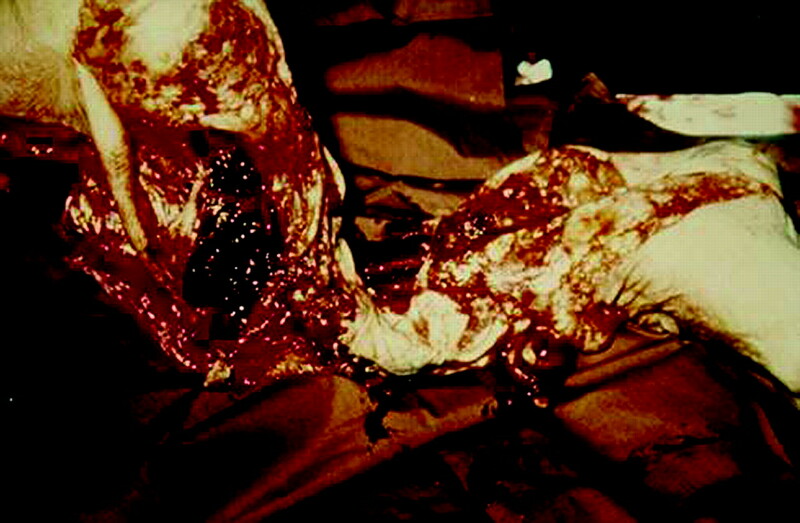 The patient is dead and their limbs are blocking access to potentially live casualties (figure 6). Scene safety emergencies. Published with permission from West Mercia Police. Severe limb entrapment. Published with permission from University Hospitals Birmingham. Example of non-survivable limb with minimal skin attachment. Published with permission from University Hospitals Birmingham. Access to live casualties is blocked by dead patients. Copyright of the Metropolitan Police Authority. If there is an immediate risk to the patient's life, for example, fire, proceed to amputation with minimal preparation. In all other cases agree with senior ambulance and fire and rescue personnel (and if possible a second experienced prehospital care doctor) that amputation is necessary to release the patient, and that the patient's general clinical state and urgency warrants amputation and cannot wait for the patient to be released. Extreme care with scalpels and sharp instruments is mandatory. Establish a site for your equipment close to the patient so you can undertake the procedure and reach for instruments without involving another person. Passing a scalpel from one person to another can be dangerous and should be avoided if possible. Ensure emergency personnel close to you are vigilant to avoid personal injury during the procedure. The necessary equipment is illustrated in figure 7. Following optimisation of oxygenation, ventilation and intravenous or intraosseous access, ketamine as a bolus followed by incremental doses provides safe anaesthesia. For the non-surgeon or inexperienced surgeon, divide the skin circumferentially as distally as possible. Cut through the subcutaneous tissues and open the fascia of the underlying muscle groups. Then using the gloved hand identify muscle groups and divide with tuff cut scissors. Apply clips to longitudinal structures presumed to be major blood vessels. Divide the bone with a gigli saw. Once amputated examine the stump for any obvious blood vessels and apply artery clips. In the event of the tourniquet being dislodged catastrophic bleeding is then less likely to occur. Apply a padded dressing (figure 8) and transport to hospital. Tourniquet and padded dressing in situ. If available undertake a pre-amputation photograph and administer broad-spectum antibiotics. The amputated limb should be transported to hospital once released. In some cases donor tissue, for example, skin from the amputated part may assist surgical reconstruction. There are no specific contraindications only immediate risk to the rescuer making the procedure too dangerous. As in all open procedures precautions must be taken to reduce the risk of hepatitis/HIV infection. Extreme care with scalpels and sharp instruments is mandatory. 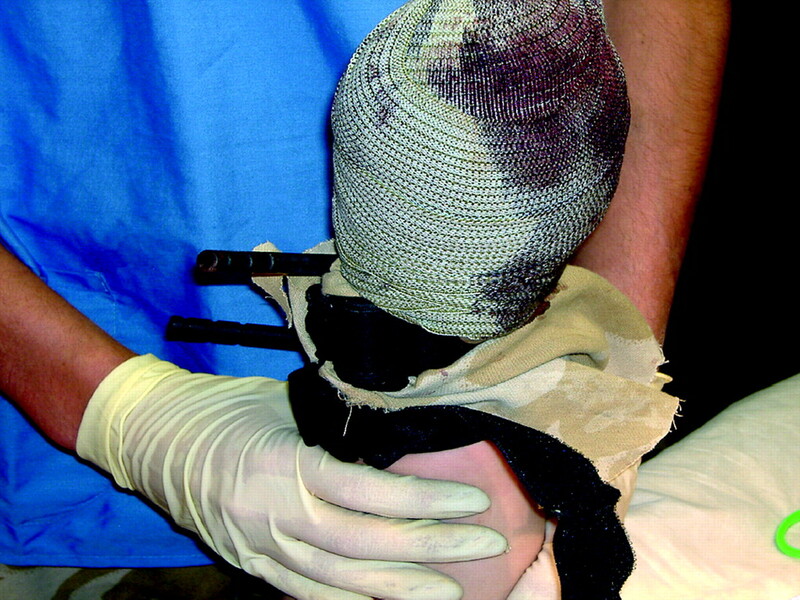 The requirement for prehospital amputation other than cutting minimal soft tissue bridges is rare. This paper describes the indications and a safe technique, which in the absence of a surgeon can be undertaken by non-surgically trained medical personnel.
. In: The Sushruta Samhita: An English Translation Based on the Original Sanskrit Texts. New Delhi: Cosmo Publications, 2006:189.
. Hippocrates Vol. 3 trans. London, England: William Hineman, 1927:361–7. Celsus 1938 De Medicina (transl WG Spencer). London: W Heinemann Loeb Classical Library, Vol VII 33.
. Medicine: an illustrated history. New York: Harry N Abrams, 1987:283.
. The evolution of the surgical management of severe lower extremity trauma. Clin Plast Surg 1986;13:549–69.
. Early limb salvage: open tibial fracture of Ambrose Pare (1510–1590) and Percival Potter (1714–1789). World J Surg 1997;21:116–22.
. Tourniquet use on the battlefield. Mil Med 2006;171:352–6.
. A treatise on the blood inflammation and gunshot wounds. London, England: John Richardson 1794:560–2;523–9.
. Our orthopaedic heritage: the American Civil war. Clin Orthop Relat Res 2004;429:306–15.